In the closing week of 2018 Magadan fishermen finally got their quotas 2019 for commercial fishery of blue king crab, red king crab, golden king crab and opilio crab in the Sea of Okhotsk, according to Kolyma. More specifically, the quotas were distributed between the region’s holders in accordance with the order of the Russian Federal Agency for Fisheries (No.761 dated December 24, 2018). The total crab allocations for the current year 2019 exceed 6,000 metric tons. 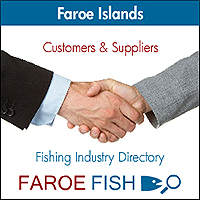 Under the updated fishery legislation, in the year 2018 the Agency signed contracts with fishing companies to assign capture quota shares for an extended period of 15 years (versus the previous 10 years) for both offshore and inshore operations. Magadan fishermen also entered into such contracts, for crab capture as well.